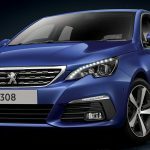 The new Peugeot 308 Allure is undoubtedly a classy offering from the French car manufacturer. There is plenty of European style on display, and the cabin has a premium feel. 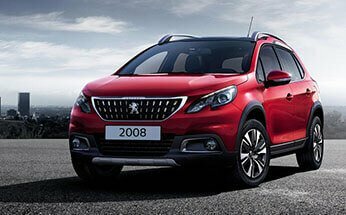 The driving experience feels refined, the engine is smooth, and the boot is spacious. Some people may find the cabin layout quirky, but once you get used to it, it’s easy to use. Let’s take a closer look at what the 308 Allure has to offer so that you can make an informed purchase. The small passenger car segment is hotly contested here with over 20 models vying for the driver’s attention. 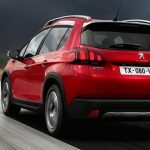 Now that Peugeot has thrown their hat into the ring, they need to compete with cars such as the segment leading VW Golf. The 308 Allure is a top specified car with plenty of equipment fitted as standard, such as keyless entry, push button start, Android Auto and Apple CarPlay support, a 9.7” infotainment screen (with smartphone mirroring), DAB+ digital radio, LED headlights and tail-lights. There is also a rear view camera with reversing sensors, lane keep assist, speed sign recognition, auto high beams, driver attention monitoring, an automated parking assistant and 17” alloy wheels. 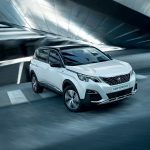 Standard safety equipment, includes autonomous emergency braking (including pedestrian detection), six airbags, electronic stability control, brake assist, and a 5 star ANCAP safety rating. The Peugeot 308 Allure is a premium feeling car that has clean lines and chrome trim. The presentation really is excellent; the alloy wheels look great, and the paint finish has a luxury touch. This initial impression is reinforced when you enter the cabin, there is a minimalist feel, the upholstery is lush, and there are soft touch materials everywhere. The dashboard layout has a strange layout that will take a little time to get used to, and the steering wheel is smaller than you would expect. However, the seats are excellent and finding the ideal driving position is simple. 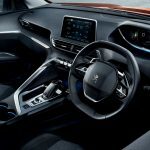 Sadly, the 308 misses out on the excellent i-Cockpit system found on the latest 3008 and 5008 models. The 308 Allure has a 435L boot, which can be expanded up to 1,274L when the rear seats are folded down. This is one of the largest boot sizes in the entire segment, and the space is very square for easier loading. A space saver spare is located under the boot floor, and regular skiers will appreciate a ski port built right into the centre rear seat. This model 308 Allure came with a 1.2L three cylinder turbo petrol engine that generates 96kW of power and 230 Nm of torque. This power is transferred to the front wheels via an automatic six speed torque converter. This engine provides smooth progress, and it feels refined. 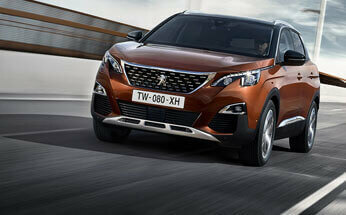 The acceleration is 0-100km/hr in 11 seconds dead, and the combined fuel economy is 5.2L/100km. 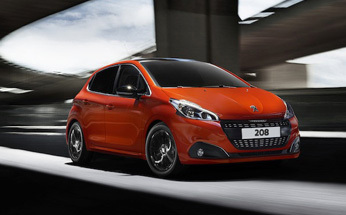 If they are looking for a Peugeot 308, Perth motorists should contact us here. 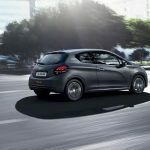 We stock the latest Peugeot 308 models, and our sales team will be happy to answer your questions.